mothermade: What stopped me from adopting. In my third year of undergraduate studies, I read the most heartbreaking story. Four Korean sisters, ages 6 to 13, made a suicide pact to relieve the burden they believed their parents shouldered as a low income family of seven on $350 a month. 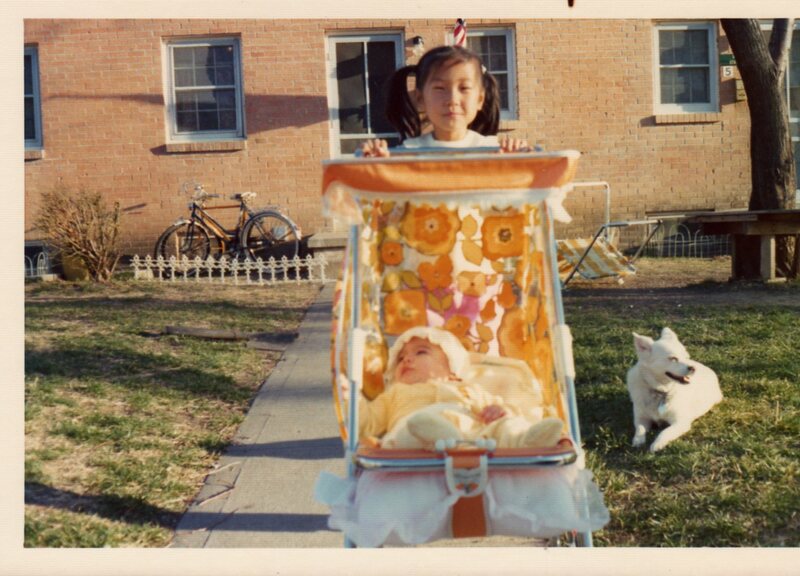 This became my view of my birth country and my driving force as an adoptee and a young woman. In those days, I had finally fallen in love with a young man from Appleton, Wisconsin. I was making plans. In them, I wanted to have a biological child and adopt a young girl from Korea. I wanted to save a young girl from that feeling of uselessness. This Wisconsin love of my life crumbled as I found he was promised to another back home. My trust was broken, and I vowed that I would stay single and possibly adopt on my own. Five years after they adopted me, my parents were able to have a biological child. From her hospital room each night of her one-month bedrest stay, my mother cried as she watched me, a purple-coated dot, in the parking lot. Then … my sister arrived. She was cute and cuddly. I wanted to name her Penelope, but my mother decided against it. My mother would dedicate her life to her girls. She stayed home, volunteered at school, nurtured us to adulthood and with my father, she would console me when the Appleton man left. I told her I wanted to be a single mother with a job. I wanted my life to play out differently from hers. I wanted to seem strong and independent. Years later, I would meet the man. We married, and my parents asked about grandchildren. My husband agreed with my initial plans, a few years as a couple and later, parents to a biological child and an adopted one. We lived in Rwanda one year after the 1994 genocide and witnessed so many children displaced by war but happy in their home country. My adoption plan was beginning to crumble. As I turned 30, my GYN asked if I planned to have children. “Yes, of course!” was my reply. She went on to explain that sometimes women might take years to get pregnant, and that I should discuss this with my husband. This reminded me of the pain my mother felt with numerous miscarriages and the still born son. She shed tears every January for that little boy. 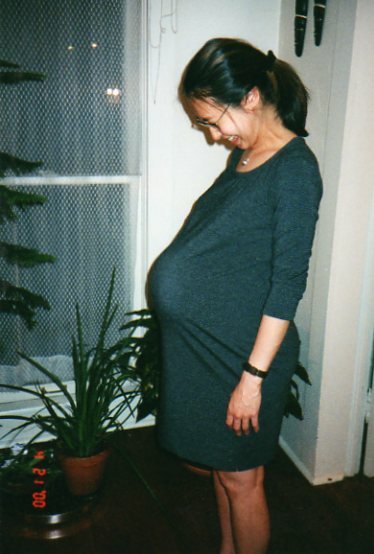 Within two years, I was pregnant. The moment my son’s bony hand touched mine through my stretched skin, I was in awe, and the thoughts of any others fell away. I would feel my mother’s pain again a couple of years later as I miscarried my second pregnancy. I felt lost again. I felt a failure and decided I was happy with being a mother to one. My husband revisited our earlier plans of adoption, but at the time, we were three on the salary of one, and adoption just wasn’t financially possible. We would eventually welcome our daughter into our family. I must admit that I beam when my children say they are like me. I waited so long for a chance to compare myself to another human being who shared my DNA. I also share their sadness when they realize that they don’t share biological similarities to my side of the family. Now that my parents are gone, I wrap myself up in the comfort of my little family. We still do not have the financial means to adopt, but I am content. My initial well-meaning, youth-driven intentions of saving another little Korean girl like me have disintegrated with each adoptee narrative. Even if I could adopt a Korean girl, I couldn’t add to the pain of a single mother in Korea feeling hopeless to the point of believing her child would have it “better” in a place where material wealth trumps family. Instead, my focus turns to learning from the past … my past, looking to the future for my children and the future of other adoptees and their children as we navigate the confusion and complexity of adoption.